If you read my newsletter then you’ve probably heard me talking about one of my new favorite things: The Seeds of the Month Club. Gardening is a huge passion of mine so the idea getting a variety pack of seeds sent to my front door once a month is like getting a Christmas present in my mailbox every few weeks. If you haven’t heard of the Seeds of the Month Club, it’s a monthly membership service where you can sign up to receive open pollinated NON-GMO heirloom seeds in the mail every month. You have no choice in what you will get each month, but they base the selection that they send you on your growing region. Also, you receive 8 packets your first month and 4 packets each subsequent month. Out of these 8 varieties, broccoli is probably the only thing that I won’t grow. I will definitely be planting everything else come spring. I especially want to try growing the Tomatillo as I’ve never tried them. I’m already looking forward to my next shipment of seeds. Here’s my list of pros and cons for joining The Seeds of the Month Club. Great price at less than $1 per packet shipped. Exciting to receive seeds each month. 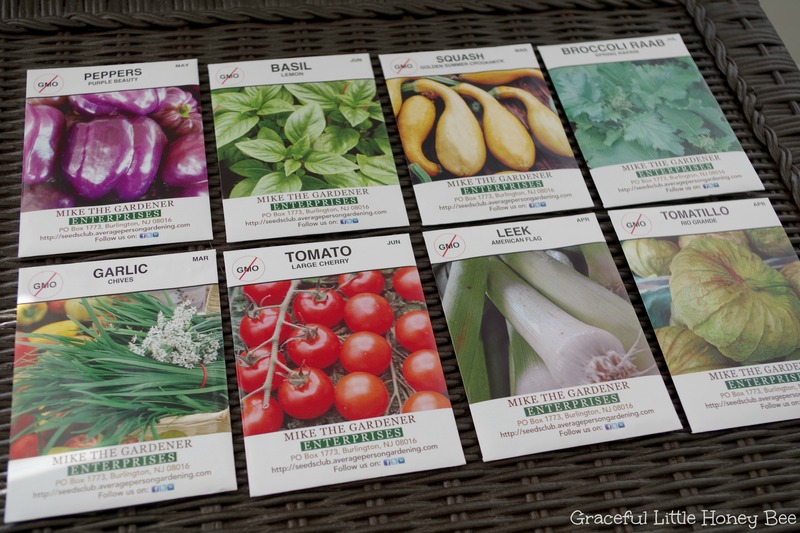 You can save seed from the plants that you grow since they are all heirloom varieties. You can’t specify which seeds you will receive. You may not like the varieties that you receive.